As the financial and domestic situations seem to linger longer then we hoped or expected, the obvious explanation is attributed to the slower planets. The effects of an aspect from a slower moving planet will last longer as it fades from being strongly felt to where it is hardly noticed and back again, many times as it continues its journey. Pluto, the transformer squares Uranus, the innovative as it begins its first of seven exact squares on June 24 2012 indicating major changes are about to happen. Under this influence the 10 Aquarius 15 Full Moon on August 1st 2012 at 8:28 pm PDT is singing that there is nowhere to run except within our higher spiritual intuition to depend on, in order to navigate the inevitable changes we will be experiencing during this period to a successful end or one we will be happy with. If we are to achieve success of any kind, the Universe is telling us that we need to look within, for the answers lie within our higher spiritual self. With the full moon in beneficial aspects to Mars and Jupiter, and Saturn trine Venus, the Universe is pointing and helping us to secure the insight and foresight to choose the right path we need to take in order to see the light to our problems. “The Sabian symbol for the Moon in 11 degrees of Aquarius and for the Sun in 11 degrees of Leo is taken from “The Sabian Symbols in Astrology by Marc Edmund Jones”, and what follows are my comments. 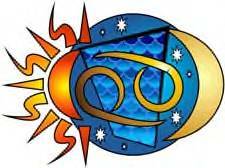 Aquarius 11 Man tête-à-tête with his inspiration This is a symbol of satisfaction in the transcendental experiences of selfhood, and of a new realization that each individual lives in a consistent intimacy with spiritual verities of every sort and on every hand. Implicit in the symbolism is the need to act continually in personal self-interest, and to translate every vision into practical consummation. As man accepts the overshadowing of a universal life and order, he must demonstrate his own special capacities and rededicate his own individual achievements. The keyword is ecstasy. When positive, the degree is an enthusiastic idealism and a tireless desire to serve others, and when negative, complete self-obsession. Leo 11 Children on a swing in a huge oak tree This is a symbol of satisfaction in the normal exercise of selfhood, and of a new realization of the high dependability exhibited by man’s physical and social sustainments. Implicit in the symbolism is a special refreshment of the spirit, but only through a continual development of its responsibilities to its own manifestation of itself. As each individual accepts the overshadowing of a universal life and order he achieves an ever-better conception of personal reality. The keyword is delight. When positive, the degree is a consistent zest for every possible phase of living and a real generosity of self-expenditure, and when negative, laziness exalted as a virtue. The implication of this symbol is the understanding and the acknowledgement that we are connected and created by a power greater then ourselves, in which we can rely on for support and guidance. Knowledge is power, but spiritual knowledge is even greater as it creates that which we wish for, if we follow its guidance and support. 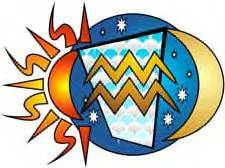 This symbol alludes to our higher intuition, higher imagination and the inner communication with our higher self. The accent is on using these gifts from the Universe by bringing them into reality. When we go within and trust our higher spiritual self, our personal understanding of our place in the overall scheme of things is heightened and enhanced as the solutions to our problems become clearer. At this point a momentum is created with enthusiasm, boundless energy, and an eagerness to experience the life that one desires. With this in mind, we can experience this Aquarius Full Moon with confidence as there is no where to run but within ourselves for the answers. Like any map that gives us directions, to get to where we want to go, or an instruction pamphlet to get us started on the right foot, the stars and the planets are a guide and instructions with indications of the possibilities that lie across our paths as we continue our journey in life. The problem that continues to plaque us is the possibility of misreading or misunderstanding the information. Either by our carelessness or that the information given is too complex and confusing. The complexity of the message and the subtle influences can create devastating results that sometimes appears to be simple, plain and to the point. 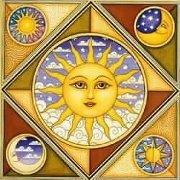 The 26 Cancer 54 New Moon on July 18th 2012 at 9:25 pm PDT is saying, it is now or never. Pointing to the fact that we need to take actions, without warning us of the dangers involved. Mars is in opposition to Uranus and square to Pluto demanding action, intent, passion, reform and regeneration. As the night skies have been indicating a real need for change for the last few years, and to this point in time, the actions taken have not gotten us any further along then we were in the past. An urgent need for action that makes a difference is imminent that we can no longer tolerate the circumstances, as they are. The handwriting on the wall is demanding us that action needs to be taken before we no longer have a choice. Being pushed into a situation where there are no choices or changes that can be made. At the same time, it is subtly warning us to take care and to use insight and foresight in dealing with the circumstances of change and transformation. That we need to be mindful of our every thought, word and action we encounter, when working towards revolutionizing the old ways into something that will work and benefit all. We need to be careful not to bring up emotions and actions, which would separate us from a united cause. “The Sabian symbol for the 28th degree of Cancer is taken from “The Sabian Symbols in Astrology by Marc Edmund Jones”, and what follows are my comments. Cancer 27 A storm in a canyon This is a symbol of a pyramiding reality on the side of external circumstances, or of violence and terror as divine in their capacity for lifting man out of his aplomb and demanding some manifestation o his inner ideals and enduring values. Here is the indomitable integrity of everything to be taken as of consequence in its own right, shown in the energy with which it preserves itself. Nature ever dramatizes man’s unleashed powers, or his ability to rise in supremacy over each momentary crisis. The keyword is intensification. When positive, the degree is an enlistment of every resource in life for a heightened expression of self, and when negative, fatuous enjoyment of turmoil.